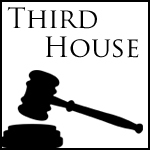 During a casual Saturday morning breakfast, Third House conducts two activities which (1) allow Greater Lafayette Commerce members to learn from our Indiana General Assembly legislators and (2) permit input and discussion on pending legislation which involves community issues. Join Greater Fort Wayne Inc. and the Regional Chamber of Northeast Indiana for the 2018 Third House Forum. The Northeast Indiana Legislative Delegation will report on their activity at the Statehouse and speak about issues that directly impact your business. It is a unique opportunity to get to know your state legislators and share your thoughts on polices that concern your business. Thank you to our sponsor Upstate Alliance of REALTORS! For more information, contact Misty Knisely and manager of marketing and communication for the Greater Kokomo Alliance, mknisely@greaterkokomo.com if you need additional information. Learn current issues our state legislators will be addressing in the General Assembly this year that impact your community and business. Opportunity to ask questions and talk with your legislators. To register for this event, click the "Register Now" button in the right hand column or call Cara Grabowski at 574.400.4032.